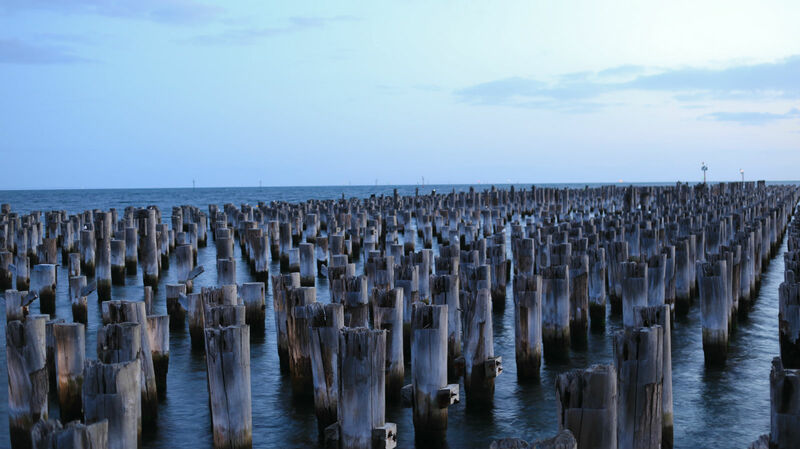 Princes Pier is 580 meters long Pier with historic relevance located on the Port Phillip bay of Port Melbourne, Victoria – Australia. If you are visiting Melbourne, this is one other thing to do and place to visit! The best part is that this attraction is not very far from the Melbourne City CBD ( Central Business District). The Pier construction started almost a 100 years ago and is said to be a major arrival point for migrants especially during the post-war period. Photography by Melbourne Photographer @ Kangaroo Art. A quick drive from the city brings to this beautiful little area which looks exceptionally beautiful during the evening hours. The place is often loved by evening visitors, fishing enthusiasts, and Photographers! Not to forget this is one of the most popular spot for photographers in the city. If you have been to the Princes Pier, share your experience and thoughts, if not visit it! There’s a lot to do here! The most popular stuff you can see people doing here are fishing, roller boarding, chilling out on the benches and often family and friends get together here for a nice little peaceful walk. This is another hotspot for photographers! If you are a professional or amateur photographer, this is a great place for landscape photography (especially during the late evening time). Above is a photo that our team captured at the serene location which is great for long exposure stunning shots! Below are some more photos from the Princess Pier and you can see how picture perfect this place is right close to the buzzing Melbourne city! Share with us how you love this pier in Melbourne?